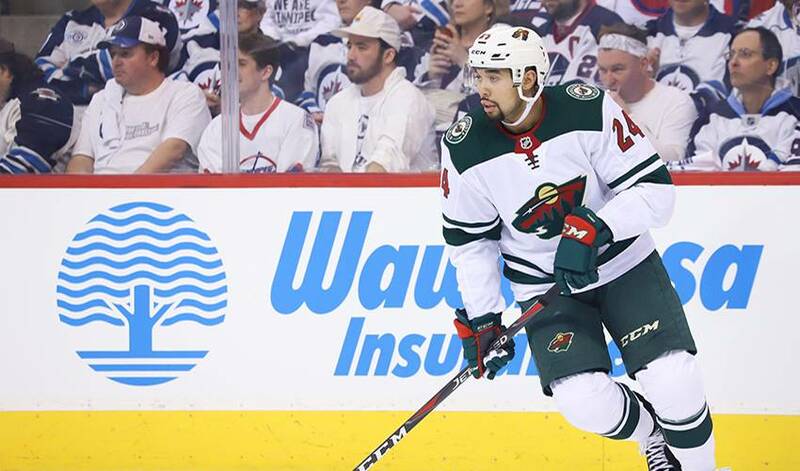 ST. PAUL, Minn. — The Wild and Matt Dumba have agreed on a five-year, $30 million deal to keep the 23-year-old defenceman in Minnesota after a breakout year. General manager Paul Fenton announced the deal Saturday with the restricted free agent. Dumba had 14 goals and 36 assists to go with a plus-15 rating in 82 games last season, when he had career highs in games played, goals, assists, points, game-winning goals (4), power-play assists (10), time on ice (23:48), shots on goal (176), hits (136) and blocked shots (112). The 6-foot, 184-pound Dumba is from Regina, Saskatchewan, and was the No. 7 overall pick by Minnesota in 2012. Dumba will be paid $5.2 million in 2018-19, then $7.4 million, $4.8 million, $7.4 million and $5.2 million over the contract, which has an annual salary cap hit of $6 million.